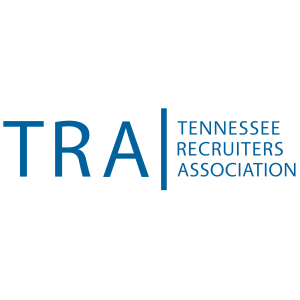 Welcome to the website of the Tennessee Recruiters Association. Please join us and support our educational events. We pledge to continue to develop and strengthen our organization. We are all proud and excited that the momentum created by growing attendance in support of our invited speakers and educational initiatives aimed at improving and educating recruiters has allowed us to also continue presenting annual conferences featuring the top speakers and trainers in our industry. We are proud to be affiliated with, and recognized by The National Association of Personnel Services. Quarterly luncheon meetings with high caliber speakers – whose materials are available through our website to members. Brown Bag discussions during the off-months – free exchanges of information, questions regarding issues that impact our business – these are free meetings to attend.